When will be Expedition Mungo next episode air date? Is Expedition Mungo renewed or cancelled? Where to countdown Expedition Mungo air dates? 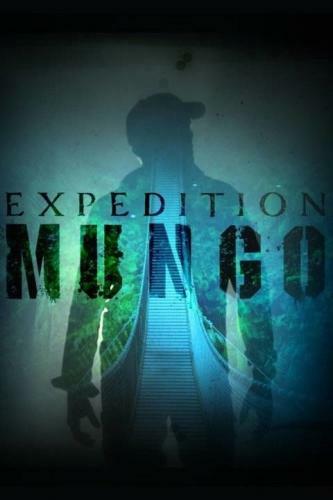 Is Expedition Mungo worth watching? His job as an in-demand TV cameraman has taken Paul "Mungo" Mungeam to more than 90 countries, where he's captured the world's wild and wonderful -- and sometimes hostile -- environments. Along the way, he's also heard age-old creepy tales of mythical creatures as told by local residents. In Expedition Mungo he searches for the truth as Mungo turns the tables -- or would that be cameras? -- to become the focused subject of this adventure series. He leads a team of fellow adrenaline-seekers to remote, undiscovered corners of the world. At each stop, Mungo meets with eyewitnesses, searching for clues and evidence in the hope of capturing these myths and legends on camera. Investigating a bigfoot-like creature with superhuman strength reported in the foothills of the Andes; Mungo hears chilling yet conflicting stories on the Ucumar: some believe the creature is a bear, while others think it's more of a yeti. Mungo travels to Namibia to investigate the Dog-Headed Pig Monster, a creature that prowls through the night, preying on livestock and children. After an adrenaline-filled investigation in the African bush, Mungo captures the night stalker on camera. A 150-foot long super snake known as the Yacumama attacks and kills people in Peru; the villagers fear it so much they try to blow up the creature with dynamite. A merciless predator known as the Genali that prowls the waterways of Borneo, hunting and killing children, could actually be a reticulated python, a crocodile, or even a deadly dragon. Expedition Mungo next episode air date provides TVMaze for you. EpisoDate.com is your TV show guide to Countdown Expedition Mungo Episode Air Dates and to stay in touch with Expedition Mungo next episode Air Date and your others favorite TV Shows. Add the shows you like to a "Watchlist" and let the site take it from there.